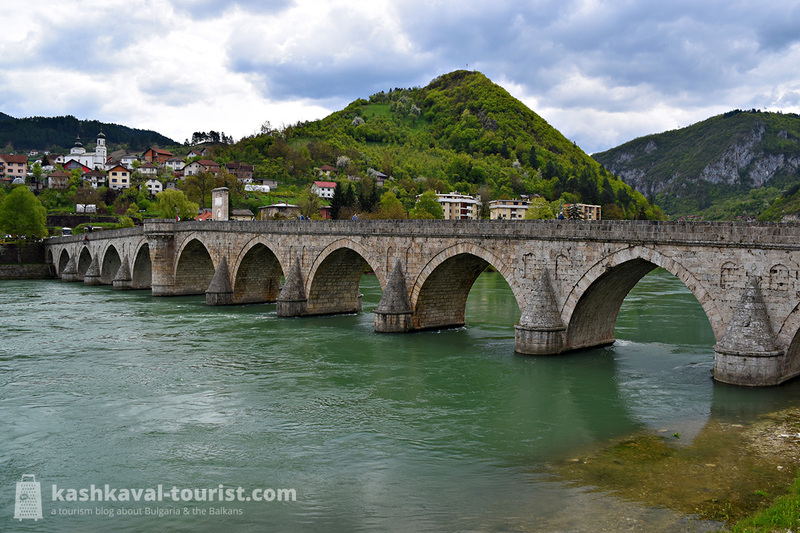 Around a hundred kilometres downstream from the origin of the Drina lies the picturesque Bosnian town of Višegrad, the setting of both the World Heritage-listed Mehmed Paša Sokolović Bridge and of Ivo Andrić’s legendary novel The Bridge on the Drina. After having read the book, even a brief walk on the bridge felt like an eventful experience charged with history. The marvellous natural setting among the lush hills of Bosnia only adds to the bridge’s grandeur. To complement your visit to the Bridge on the Drina, be sure to take a look at Višegrad’s newest attraction, the “stone town” of Andrićgrad. Recently built by famous director Emir Kusturica to serve as the set for his long-awaited cinematic adaptation of the novel, Andrićgrad features its own functioning cinema, grill restaurant, souvenir shop and even goldsmith’s! In terms of cuisine, the Western Balkans and Serbia in particular might be best-known for the incredible grilled meat dishes like the spiced pljeskavica patty, the vešalica pork loin and of course, the national dish ćevapčići. 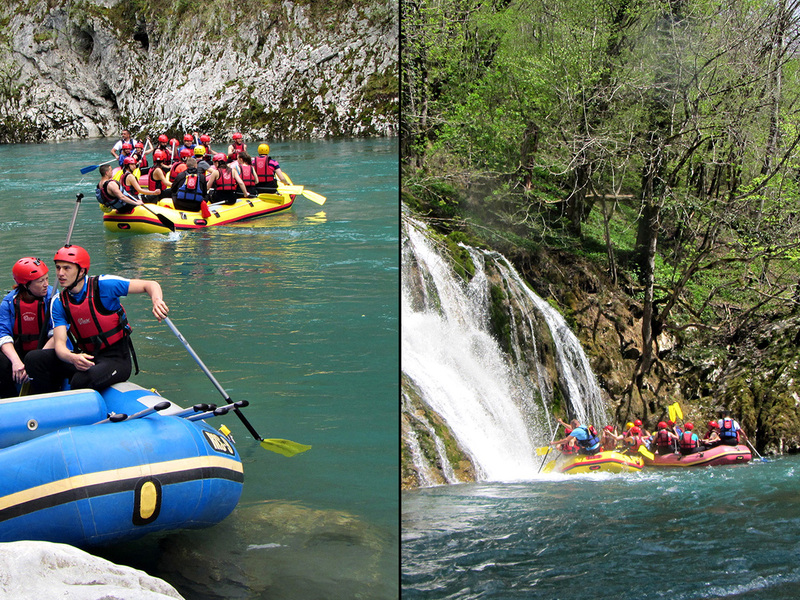 And while these are by no means missing in the Upper Drina region, there’s so much more to discover too! 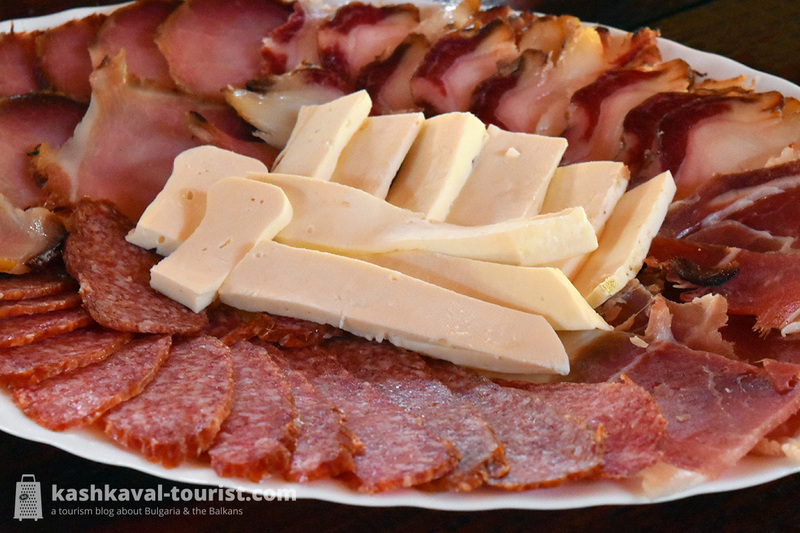 At the Rafting Centar Drina-Tara camp, we were treated to a generous breakfast of homemade ham and smoked cream cheese. Lunch and dinner highlights included freshly-caught Drina trout and perfectly-roasted Easter lamb, all of this accompanied by homemade rakia, needless to say. Not ideal for vegetarians, mind you, and in fact unbearable for vegans, but an absolute feast for meat lovers! 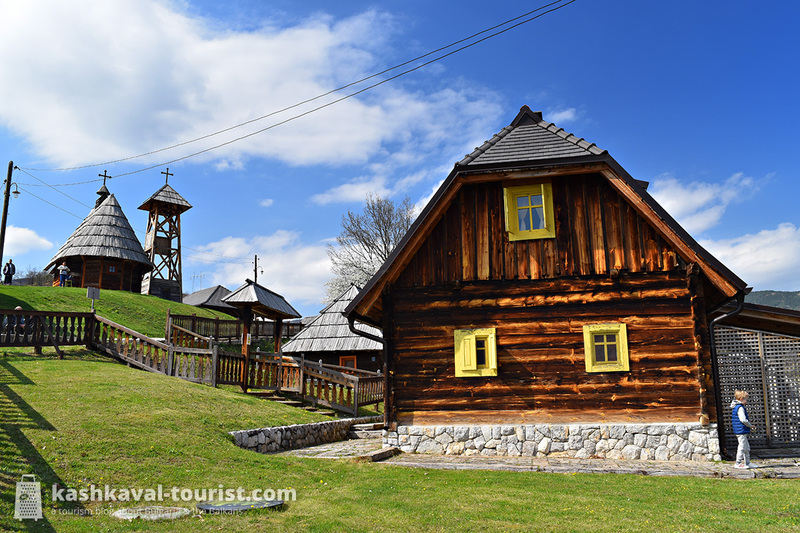 Just east of the Drina Valley, in the rolling Serbian massif of Zlatibor, lies Kusturica’s original ethno village, the all-wooden town variously known as Drvengrad, Mećavnik or Küstendorf. Complete with a church, a pub, a sports centre, a cinema and even a prison (take a guess as to who’s locked up inside! 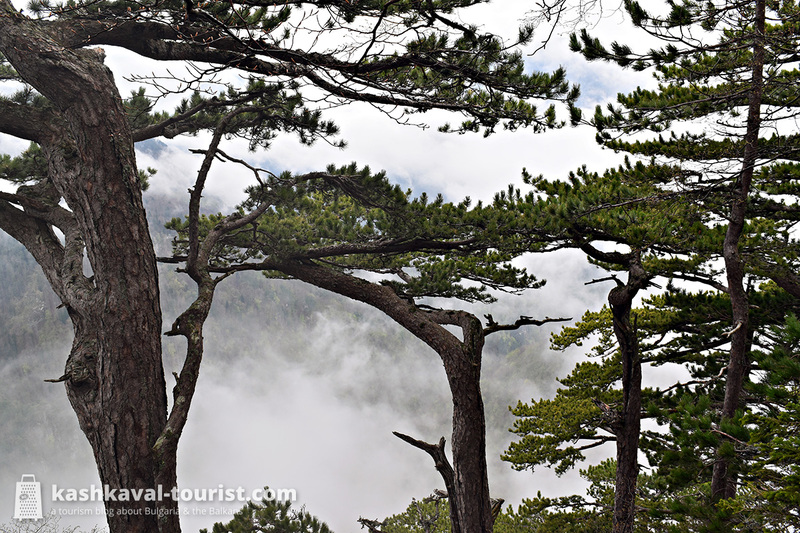 ), Drvengrad is perfect for a lazy stroll or a glass of draught boza. Drvengrad’s streets bear the names of Kusturica’s heroes, including Bruce Lee, Che Guevara, Novak Djokovic and of course, Ivo Andrić. Next to the authentic timber houses you’ll find plenty of stalls selling original souvenirs and local produce, including honey, jam and all kinds of rakia. And if you’d like to spend the night in Kusturica’s surreal Balkan dream, yes, of course Drvengrad has a hotel too! With its unbelievable location surrounded on all sides by the Dinaric Alps, Užice has to be the most panoramic city in Serbia. Hundreds of houses and even a few tower blocks dot the countless Dinaric hills above Užice’s city centre, which lies way below on the banks of the Đetinja River. As the capital of the Zlatibor District, the town has been guarding the access to the Drina Valley from the east since the Middle Ages. 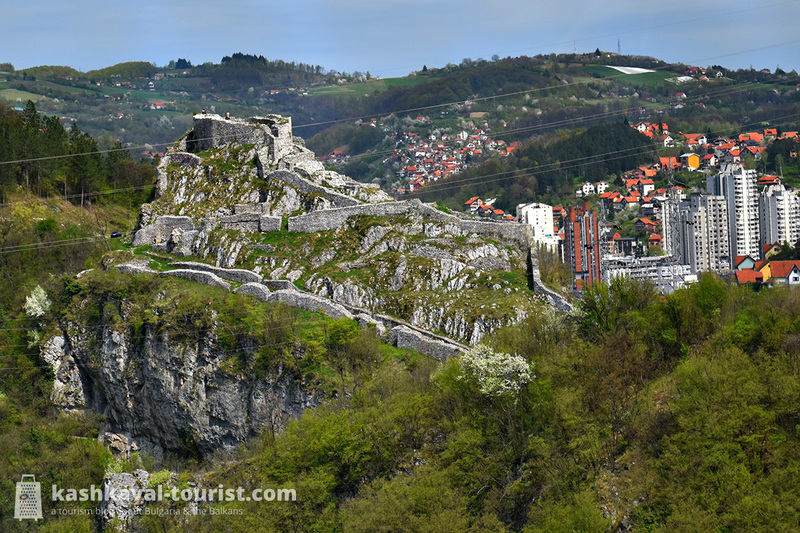 The fortress of Stari Grad, perched atop a vertical cliff high above the river, is a testament to Užice’s medieval glory. You can catch a glimpse of the Stari Grad fortress from the road going out of town towards Višegrad, from where it appears impenetrable.